Ever feel like you’re just a bit too ADD to spend all week in a nondescript classroom and pay big bucks to stay in a downtown hotel where there’s not much to do? Does your brain hurt after working exercise after tedious exercise using courseware that adds little value over the API docs? Do you gain weight eating on the expense account without much exercise? Me too. Besides these problems, in my past training experience I’ve found that many students find it difficult to maintain concentrated technical attention 8 hours at a time (yeah, it happens in the workplace, too). For myself, I find that I frequently want take a walk, preferably somewhere more refreshing than the parking lot or around the downtown block. So I started looking around for venues in more refreshing places. I thought of Denver, Boulder, and Colorado Springs (see the pattern?). But then I realized that as long as my mind would still be in the mountains, I might as well put my body there, too. So this is a bit of an experiment. 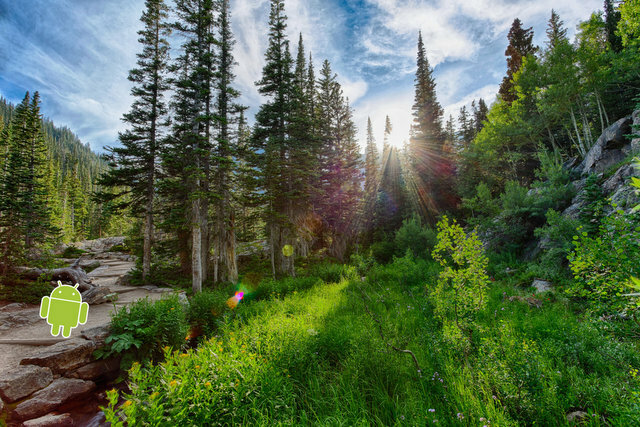 I’m offering a 5-day Android bootcamp with lodging and meals included in one of the most refreshing spots on earth, YMCA of the Rockies Estes Park Center. We have about 3 solid days of material, so we can cover it in 3, 4, or 5 days, and work around the weather for hiking. In the evenings, you can head into the bustling town of Estes Park or hang out in the meeting room to work on an app project with others in the group. We’ll have some special activities, too, like a BBQ or ice cream social. Because most schools in the US now start in early Aug, the last two weeks see a thinning out of the crowds. Which makes it a great time to visit RMNP, especially if you want to access the high trails free of snow. For further description, syllabus, cost, etc., see the full event listing on EventBrite below.